Unifect were among more than twelve thousand visitors filling the vast halls on the first day of this major exhibition in Guangzhou. 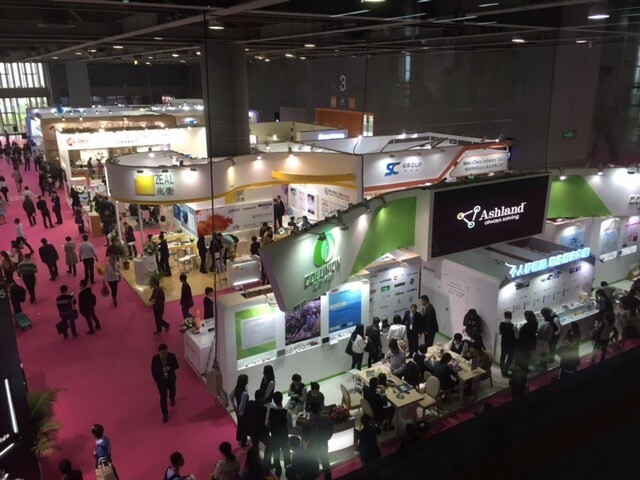 Widely seen as China’s foremost sourcing platform for the global personal care industry PCHi is a massive and heady mix of innovation led events, stimulating speakers, and exhibitors covering every aspect of the personal care market. We had set aside the full three days to do justice to what was on offer – so many things to see and so little time! One of the exhibitors that caught our attention was Angel Yeast. 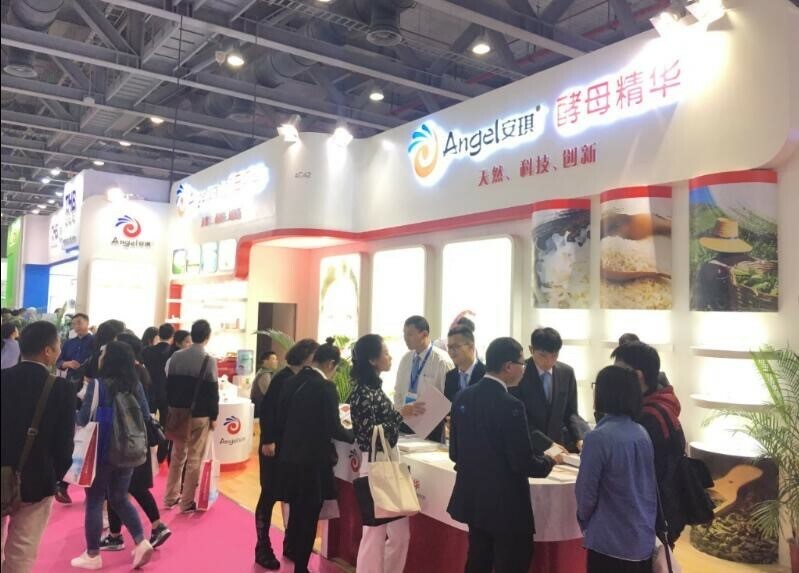 In their seventh year of exhibiting at PCHI, Angel Yeast are one of the biggest fermentation companies in the world – not surprising they attracted a footfall of more than 400 to their stand every single day including representatives from many global brands. Visitors were particularly interested in their innovative yeast based beta glucans and yeast essences for personal care including: sunburn repair, anti wrinkle and skin whitening applications. Definitely one to watch. Silky smooth vegetal talc alternative – and edible too! 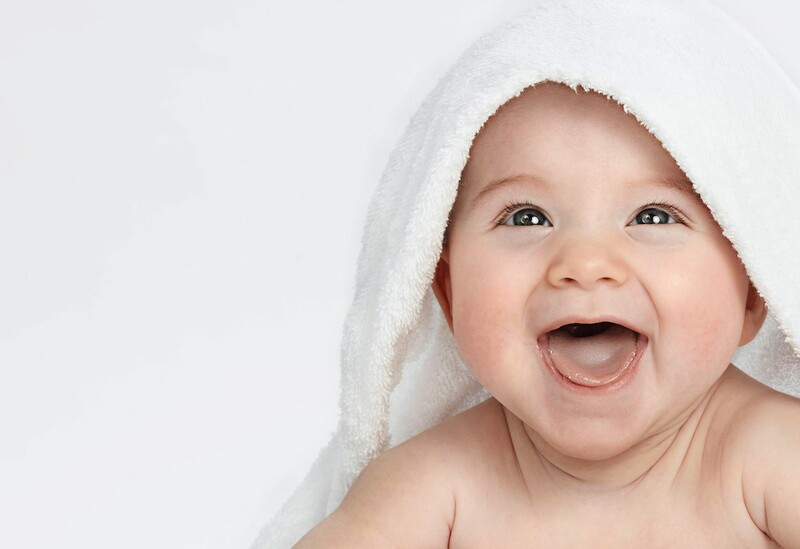 With so many problems arising from mineral based baby talc and only corn starch as a somewhat sticky natural alternative, EPC Natural Products have created something new for formulators.  EPC Canan is a natural plant based alternative – silky smooth, ultra absorbant and even edible – this is one of many new cosmetic applications that got our attention from this leading nutraceuticals company. Other EPC products we were excited to see include edible vibrant natural colours for lipsticks and Tagua Nut Powder – a fantastic natural alternative to micro plastics in exfoliants. Over the three days at PCHi, we found so many interesting ingredients and innovative products that we want to bring to your attention. We will be featuring several of the most marketable in future articles – so watch this space.